I received a rather serendipitous gift of essential oils one year as a birthday gift and I remember thinking, “Yes, I love these! Now what do I do with them?” It was at that time a whole new world opened up to me. After reading countless books on essential oils, I realized these small vials don’t just make your house smell good, they have healing properties and elevate moods. Moreover, I began actively practicing alternative medicine techniques and realizing that not only can I use these oils to relieve symptoms from a myriad of illnesses, but I can also create natural products, as well. In store-bought products I see way too many chemicals and preservatives included in the ingredient list. Click here  for 20 toxic chemicals found in beauty products. In fact, the beauty industry is making billion dollars off of products that we could make at home using more pure ingredients. I don’t know about you, but all I want in my beauty products is natural ingredients. I believe in always finding cost friendly solutions to making my own products. I have found that making my own natural versions of everyday bath and beauty products is a more healthy option for my family. 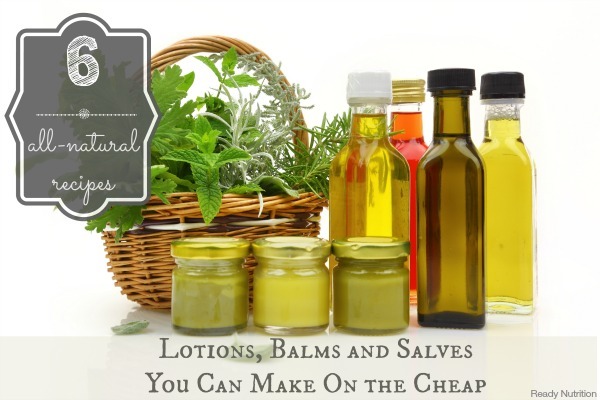 Typically, these homemade products use the same types of ingredients, so it is economical, as well as, all-natural. I make every attempt to purchase organic in order to keep the products as natural as possible. This is a natural hydrating ingredient that increases essential moisture in skin, and helps to retain natural skin moisture and relieve itchy skin. Beeswax does not irritate the skin and will not cause a problem or clog the pores. Instead, it brings a host of very positive attributes, such as general healing and softening, as an antiseptic, and an emollient to cosmetic products. Beeswax has some anti-microbial products as well as vitamin A. Essential oils  are the very essence of the plant. The oils of the plant are stored in the leaves, flowers, bark, roots or rinds of the plant and hold all the medicinal properties. The derived oils can be used for assisting in relieving a myriad of medical ailments and used in a variety of ways. Some more popular ways of using essential oils are aromatherapy, herbal soaks, compresses, tinctures and salves. But you can also use them in making natural household products, and for medicinal uses. These are my favorite essential oils to use . Coconut oil is predominantly high in saturated fats. These saturated fats are medium chain fatty acids or triglycerides. When applied on the skin, they keep it smooth to the touch. Due to the presence of these fats, coconut oil also retains the moisture content of the skin, as the fats eliminate moisture loss through the pores on skin. A 2013 study in the Journal of International Dermatology found that virgin coconut oil improved skin barrier function in patients with atopic dermatitis. Jojoba oil’s similarity to sebum allows it to absorb easily and readily into your skin, making it a gentle, skin-softening moisturizer for all skin types. Raw honey is incredible for your skin thanks to its antibacterial properties and hefty serving of skin-saving antioxidants. Further, it is a natural wound healer, as well. All I needed was assorted containers in various sizes or I saved up empty containers from my everyday items: deodorant sticks, chapstick containers, and even my empty altoid cans came in handy. Using these items, I found that I could make many products to help my family during minor emergencies. When using essential oils for medicinal use, it is important to note that, with the exception of lavender oil, these are concentrated plant compounds and may irritate skin if applied directly to the skin. There is almost never a time when you would not want to dilute the potency of an essential oil. Keep these tips in mind when diluting essential oil . It’s time we take an active stance against chemical-laden products. Knowing how easy it is to make your own will help you positively impact your health and save money at the same time. There is no reason to spend endless amounts of money on a lotions, creams and salves that you can make yourself – without the added chemicals. These recipes are loved by my family. Try them today and notice the difference!